Rebecca Manley Pippert shows groups how to grow in their faith in this five-session DVD-based course. This handbook is designed to be used by each group member, along with the accompanying GROW DVD or online downloads (which can be accessed via a password given when the DVD is bought). 1. What's God's Plan for my Life? Our small group which consists of worshipers from several different churches and denominations has found this material very useful and has produced good discussion. Rarely have we had time, in our meetings, to cover the whole of the material included and often we have needed to refer back to earlier sessions. The group started on the first series (Live) and now awaits the production of 'know' to complete the study. 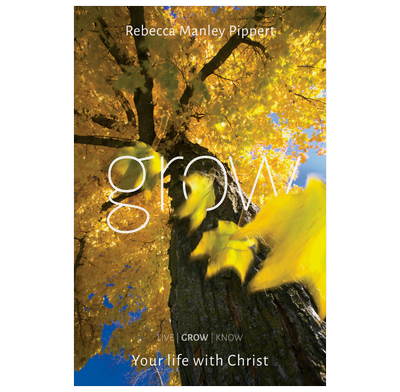 Rebecca Manley Pippert has now written her second book in the series Live, Grow and know . This course is complimented DVD where Becci presents a clear teaching session of how to grow in the Lord. Rebecca has good presentation skills and would be a well recommended course to use with a small or medium sized group.